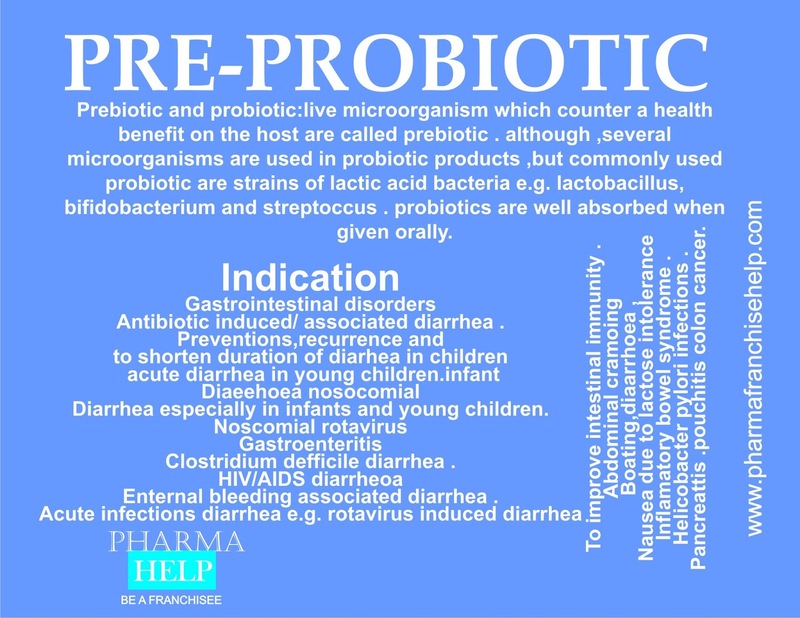 Live microorganism which counter a health benefit on the host are called prebiotic . although ,several microorganisms are used in probiotic products ,but commonly used probiotic are strains of lactic acid bacteria e.g. lactobacillus, bifidobacterium and streptoccus . probiotics are well absorbed when given orally. Antibiotic induced/ associated diarrhea . Preventions,recurrence and to shorten duration of diarrhea in children . Diaeehoea nosocomial diarrhea especially in infants and young children. Enternal bleeding associated diarrhea . Acute infections diarrhea e.g. rotavirus induced diarrhea . To improve intestinal immunity . Diarrhoea and Nausea due to lactose intolerance .